Last week, AJ and Zachary turned 8. I posted this photo on Facebook on their birthday. It has always been one of my favorites. The thing about getting a diagnosis like Fragile X for your children is, you forever see their youth in two sections - before you knew, and after. 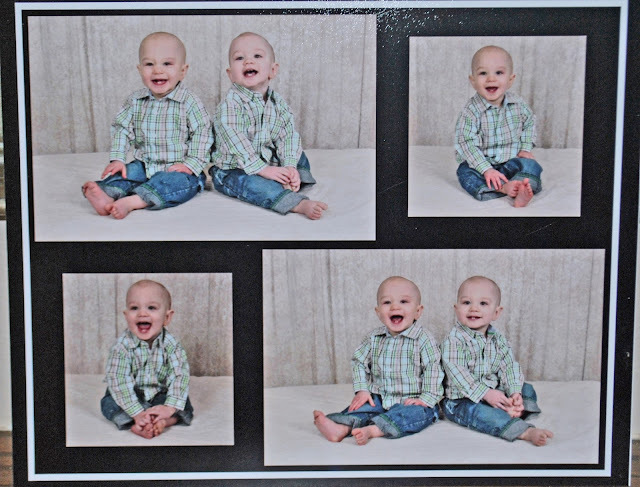 This is Zack and AJ's 12 month photos. This is just two months before we knew. They were sitting up independently at 12 months, but that was about it. No crawling, no pulling up on furniture, certainly no walking. Zack could roll in different directions with some purpose, but that was the extent of their mobility. I love their happy, huge smiles in these photos. 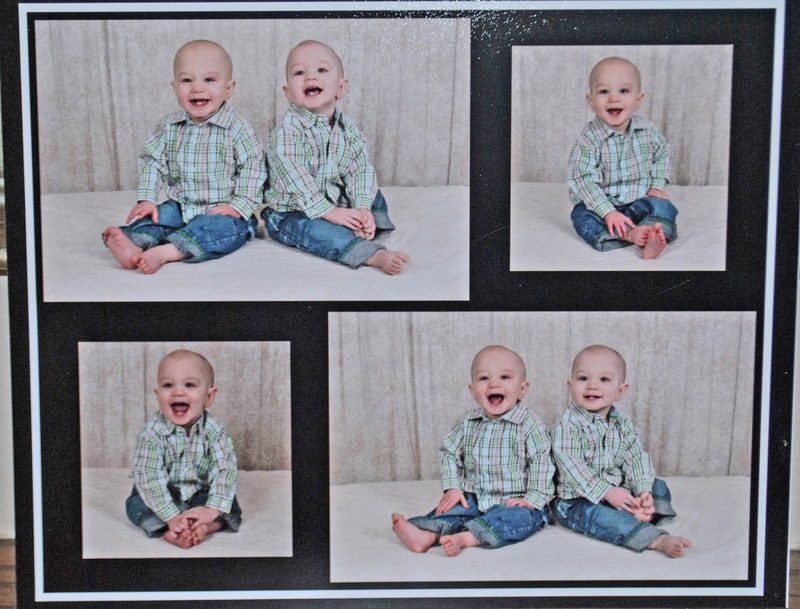 They had no idea they were developmentally delayed already, barely a year old. Really, none of us had any idea of the permanence of it. I still thought they'd catch up, at this point. But while a little reminiscing on the part of the parents is probably inevitable, birthdays are ultimately for celebrating. Every year on Zack and AJ's birthday we try to do something that is fun especially for them. For the past couple of years we've gone to a small indoor waterpark just outside of the cities. It's perfect for them and they always have a great time. We haven't really had birthday parties for them, but this year we went a little more the traditional route. We took them to Pump It Up. They have individual rooms with inflatable slides, bouncy houses, and obstacle courses. It's all brightly colored and they play fun music while kids jump and run around for a little over an hour, before settling down in a party room for snacks, cake, and presents. For kids with sensory issues, it can be both a dream and a nightmare. While they revel in the chance to jump, roll, slide, and climb, the other kids and the music can be too much input for them. They do have a "sensory night" the third Monday of every month, but then too, it gets crowded. I'm never quite sure how Zack in particular is going to react to being in a big crowd of boisterous kids. With a few small provisions, we made Pump It Up into a great party location for the boys. I told the party people that I didn't want to music playing. We only invited the boys' cousins and a very few close friends, so it was never crowded. And the winner is Lexie, by an entire body length. Zack had to take a break after awhile and sit with his iPad, but both boys really had a lot of fun. It was just about as wonderful for them as I hoped it would be. AJ sure did love that slide. Mickey Mouse on the iPad, and on the cupcakes! As is the case with many parties, Zack had to be the first to leave - Mark took him out to the car immediately after we'd opened the presents. He was beyond done (overdone, even), and between Mark and I, we'd picked him up off the floor for the last time. AJ was whiny, too, when it was all over. "Do you want to go home?" I asked him. He was ready for another go! We might have to try that sensory night, one of these days. I underestimated their love for Pump it Up! You are such a great mom!